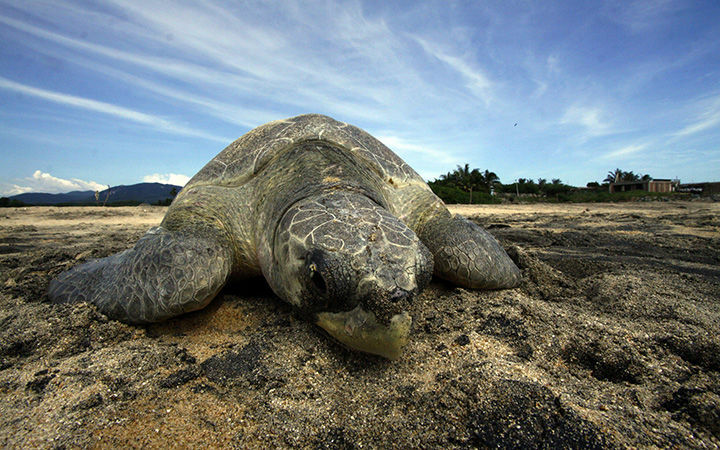 MEXICO CITY – Mexico is objecting to a U.S. decision to negatively certify it for not doing enough to reduce the deaths of endangered sea turtles in fishing nets. Mexico said it “regrets” the U.S. decision, which could lead to a ban on some Mexican sea products if it doesn’t bring protections up to U.S. standards. The Mexican Commission of Aquaculture and Fishing said Friday it “is committed” to sea turtle conservation that allow turtles to escape or avoid nets. Although Mexico adopted new regulations in April to reduce deaths of North Pacific loggerhead sea turtles in waters surrounding Baja California, the U.S. government said these measures were inadequate. Mexico has put in place restrictions on the use of certain fishing nets, hooks and traps that are known to kill sea turtles.